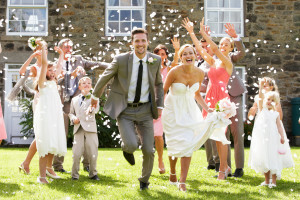 Is Wedding Insurance Worth The Money? A change of heart – if you or your fiancé change their mind before the wedding, the costs will not be reimbursed. However, some insurance companies will cover the cost of professional counseling if getting dumped causes severe emotional stress and you are able to get a doctor’s note. Liability – typical wedding insurance policies will provide coverage if someone is injured at your wedding, or if a guest has a few too many cocktails and gets into an accident on their way home. Keep in mind that there is a strict time limit for when your liability coverage is in play. An important member is missing – if the bride or groom gets seriously ill, or there is a death in the family and the wedding has to be postponed, your insurance policy will provide coverage for the rescheduling costs. Your vendor goes out of business – if your venue goes out of business or your wedding gifts are stolen, your wedding insurance policy will be able to reimburse you for most of your costs. To ensure your big day is protected, contact Robert J. Los Insurance Agency in Hamburg, New York. As an independent insurance agency, we will work with you to make sure that you have the coverage you deserve, all at the right price.